杨崧, 邓开强, 段晚锁, 等. 2018. 季风与ENSO的选择性相互作用:年循环和春季预报障碍的影响 [J]. 大气科学, 42(3): 570-589. Yang Song, Deng Kaiqiang, Duan Wansuo, et al. 2018. 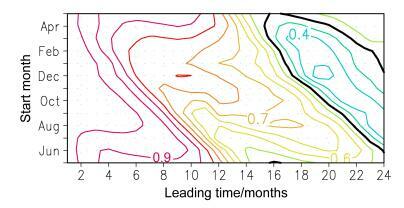 Selective Interaction between Monsoon and ENSO: Effects of Annual Cycle and Spring Predictability Barrier [J]. 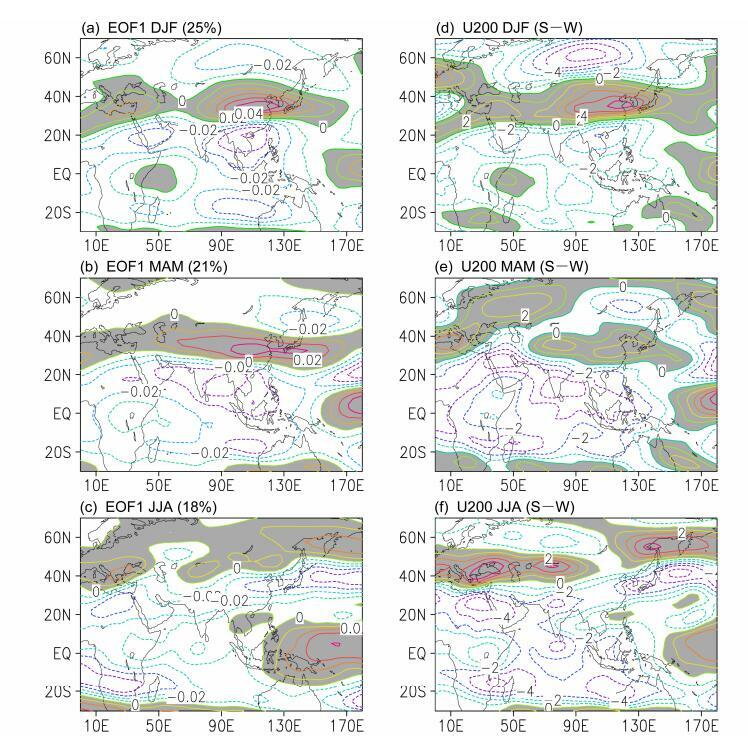 Chinese Journal of Atmospheric Sciences (in Chinese), 42(3): 570-589, doi:10.3878/j.issn.1006-9895.1712.17241. Abstract: This paper reviews research on the role of annual cycles of monsoon and ENSO in monsoon-ENSO interaction, spring predictability barrier (SPB), Webster-Yang monsoon index (WYI), and precursory signals preceding the Asian summer monsoon mainly based on the study of Webster and Yang (1992). 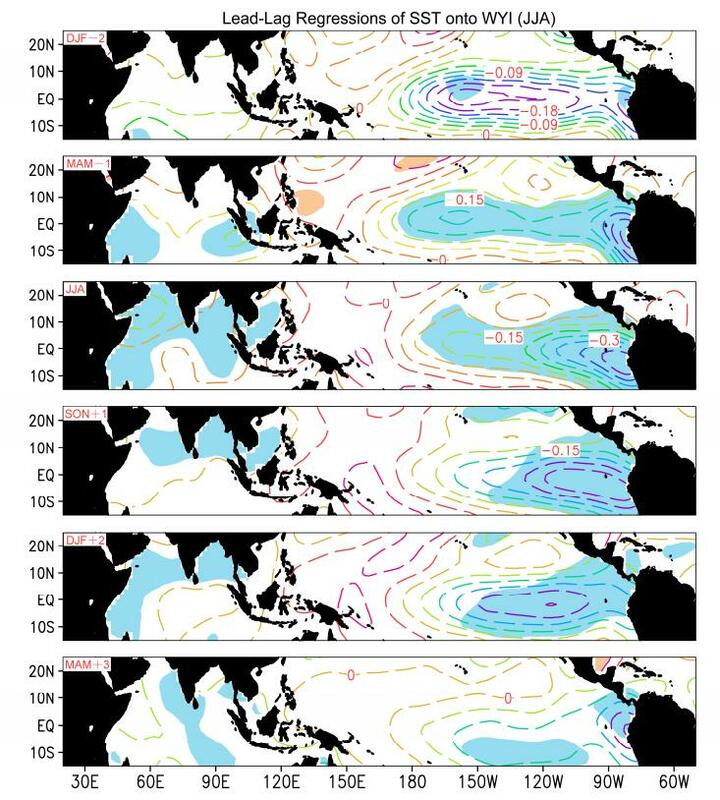 As the major sources of predictability of global weather and climate, the Asian monsoon and ENSO show prominent annual variations and seasonally "phase-locked" features. 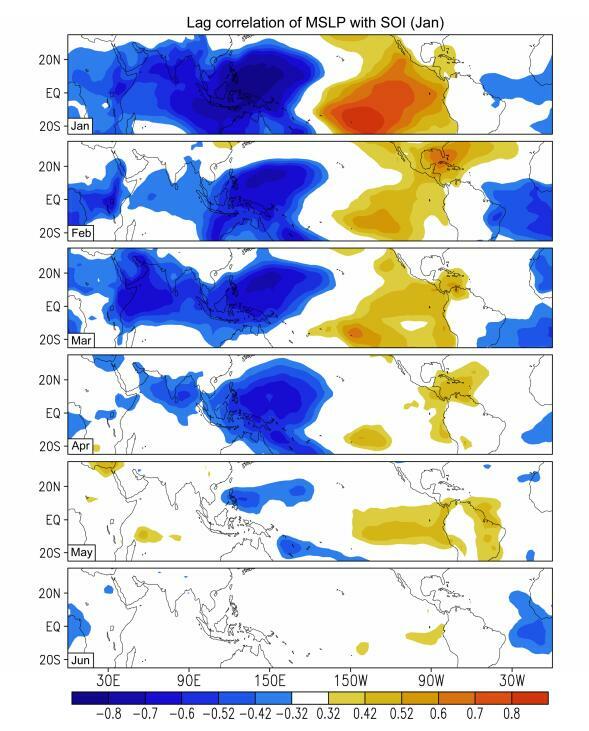 During the boreal autumn and winter, the weakest Asian monsoon convection occurs, accompanied by the peak intensity of ENSO. During the boreal spring, however, the Asian monsoon strengthens explosively, accompanied by a quick decay of ENSO signals. 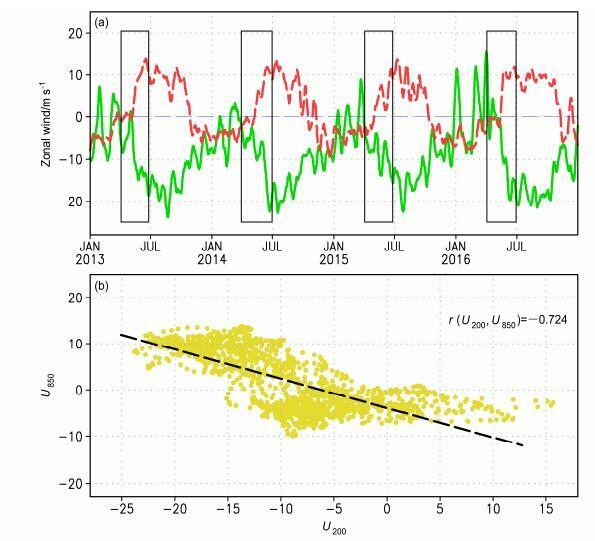 The out-of-phase variation in the monsoon and ENSO makes the tropical ocean-atmosphere system most unstable during boreal spring. Thus, small random errors could grow unlimitedly and eventually result in a rapid drop of predictive skill of ENSO. 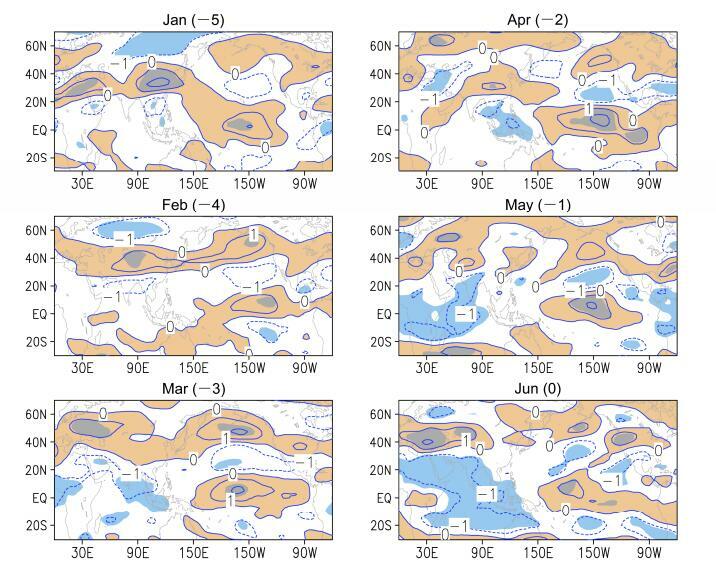 Essentially, the Asian summer monsoon circulation is a low-frequency Rossby wave response of the atmosphere to latent heating over the subtropics with strong vertical wind shear, the physical basis for defining WYI. A larger WYI indicates stronger easterly wind shear over South Asia i.e., stronger Asian monsoon circulation, and vice versa. Regressing antecedent physical fields onto the summer WYI reveals several precursory signals preceding a stronger Asian summer monsoon. Significant easterly anomaly occurs over the Indian Ocean and subtropical Asia, while prominent westerly anomaly appears over the higher latitudes. Moreover, significant increase in soil moisture content is found in the subtropics such as the Indian subcontinent, the Indo-China Peninsula, and extratropical East Asia. 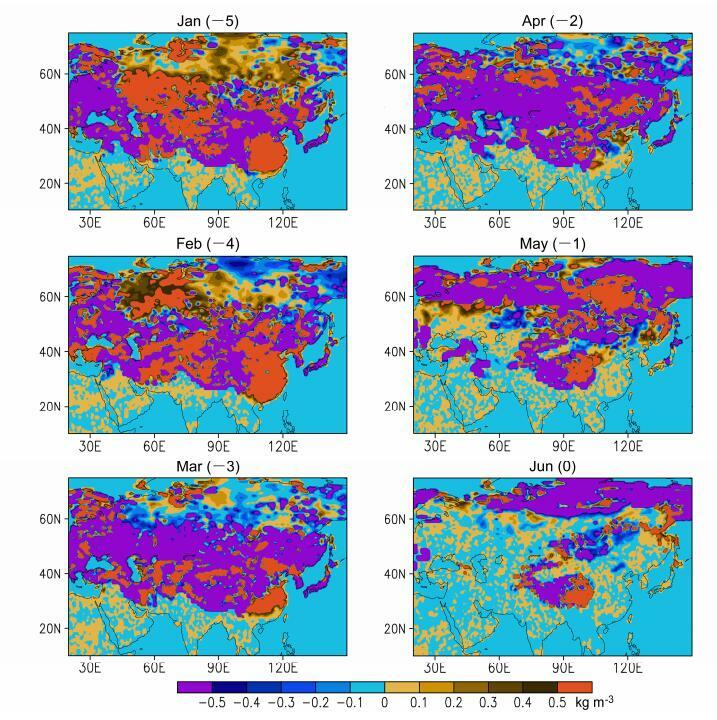 In addition, decreased snow density occurs in mid-latitude regions especially the middle and western portions of the Tibetan Plateau. 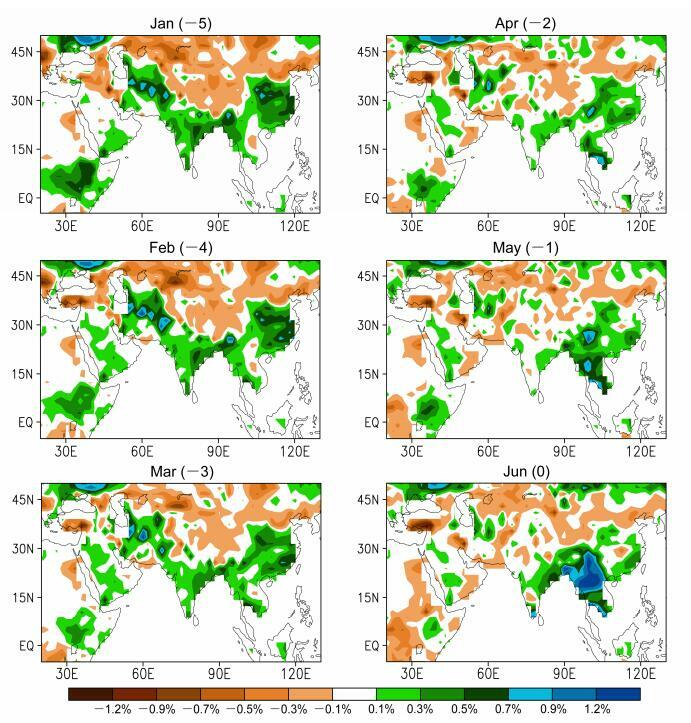 These precursors preceding the Asian summer monsoon can be applied to construct dynamical statistical models for improving seasonal prediction of the Asian summer monsoon. Berlage H P. 1966. The Southern Oscillation and world weather [R]. Mededeelingen en Verhandelingen 88. The Hague: Korunklijk Nederlands Meterorologisch Instituut, 152pp. Doberitz R. 1968. 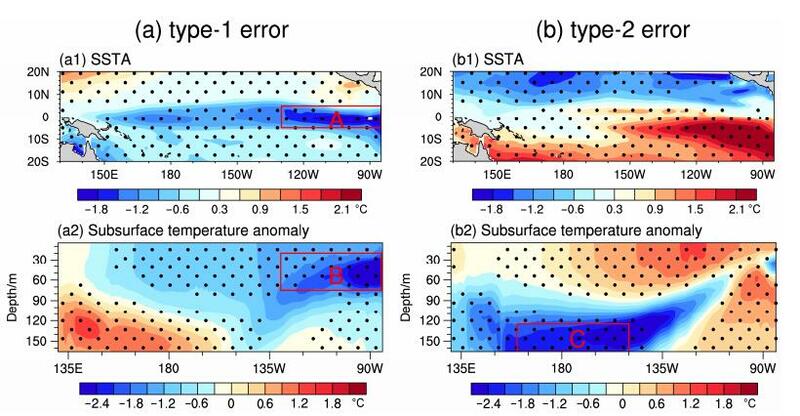 Cross spectrum analysis of rainfall and sea temperature at the equatorial Pacific Ocean: A contribution to the "El Niño" phenomenon [J]. Bonner Meteor. Abhand., 8: 61. Gadgil S, Rupakumar K. 2006. The Asian monsoon—Agriculture and economy [M]//Wang B. The Asian Monsoon. Berlin: Springer, 651-683. Hildebrandsson H H. 1897. Quelques recherches surles centres d'action de l'atmosphere [J]. Kongl. Svenska. Vetenskaps Akad. Hand., 29(3): 2-11. Ramage C S. 1971. Monsoon Meteorology [J]. New York: Academic Press: 296pp. Rasmusson E M, Carpenter T H. 1983. The relationship between the eastern Pacific sea surface temperature and rainfall over India and Sri Lanka [J]. Mon. Wea. Rev., 111: 354-384. Tao S, Chen L. 1987. 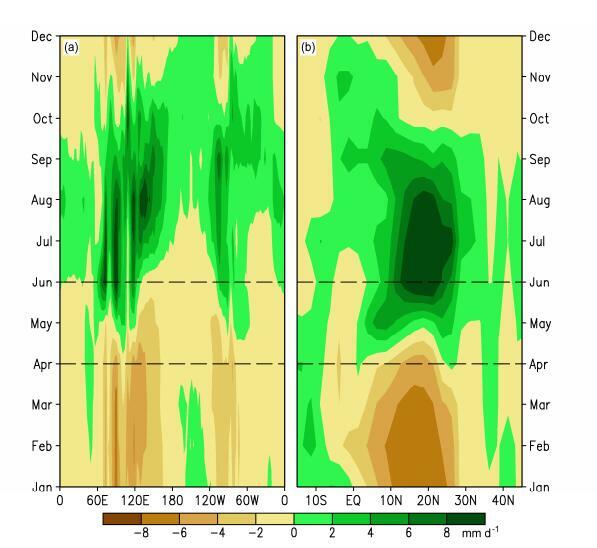 A review of recent research on the East Asian summer monsoon in China [M]//Chang C P, Krishnamurti T N. Monsoon Meteorology. Oxford: Oxford University Press, 60-92. Walker G T. 1924. 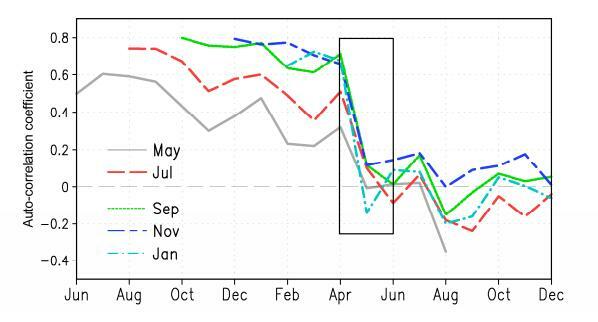 Correlation in seasonal variations of weather. Ⅸ [J]. Mem. India Meteor. Dept., 24(9): 275-332. Walker G T, Bliss E W. 1932. World weather V [J]. Mem. Roy. Meteor. Soc., 4: 53-84. Yang S, Lau W K M. 2006. 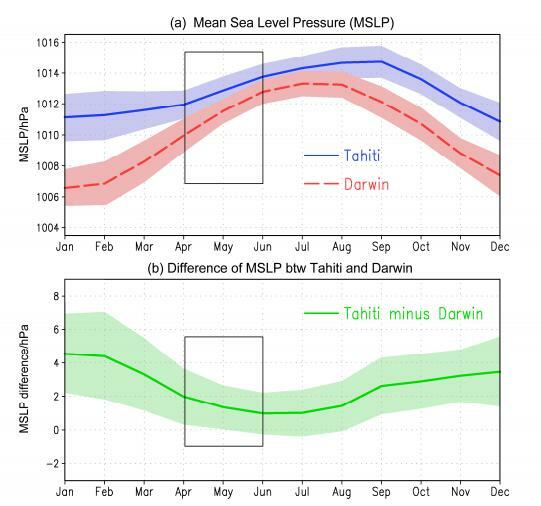 Interannual variability of the Asian monsoon [M]//Wang B. The Asian Monsoon. Berlin, Heidelberg: Springer, 259- 293, doi: 10.1007/3-540-37722-0_6.